Lauren Russell often wondered why her father had been so adamant about teaching her skills that most other fathers wouldn't even consider teaching their daughters. Ever since she was little, she had been taught how to live and survive outdoors, and how to use firearms to protect herself and those around her. Some of the training had been a bit extreme. Or had it been? Many of her questions were answered the day the world as she knew it ended. Now, the skills she had been taught serve an essential purpose. They keep her and those she cares about alive. 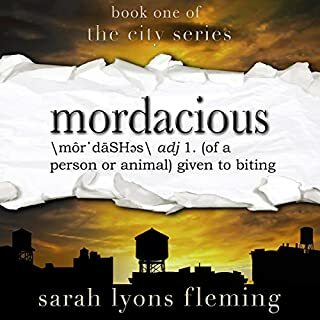 Even in the sparsely-populated mountains of West Virginia, where she and her family have been forced to relocate for their safety after the collapse, peril lurks around every corner. Normal life has taken on a whole new meaning for Lauren, her family, and the community they have become a part of. In this different world, the new status quo is self-preservation. There is no more middle ground. People either live, or they die. Lauren's father didn't make it home on the day the world changed forever, and she misses him more than anything. Now, in What's Left of My World, she and her family must learn to endure life's horrors - without him. loved it! easy too follow and one of the best stories iv listened too for a long time. Very predictable and disappointed with the tone of the story. More about American gun culture than a survival story. Not only is the story very well written but the narrator is awesome as always. The story had some good points to take note of for those of us interested in such. As for Kevin Pierce he has never steered me wrong. Lets all hope this NEVER happens. I am a big fan Love End of the world books, you know zombie apocalypse, EMP stories etc.. I will warn you this is not like any other books in this genre. This book is definitely not for the faint hearted. Though violence is to be expected in these types of books this one has the added violence. Some actually made me cringe that people could be like that, or act like that. This is definitely a story worth reading. it was a little hard to follow . I had to listen to it again thinking I may have missed something. Character seem out of place and dim witted. the writer seem to be clueless on the topics he writes about. Characters want to get dunk or high right after their first encounter. Beer and weed are a huge find even though in reality they could grow one and make moon shine if they so wanted. of course they have a super soldier neighborh with ammo, armored vehicles and PTSD... because all us retired vets have a cache of armor, ammo, and PTSD. main character has no depth and seems unbelievable. by the end I honestly didn't care. 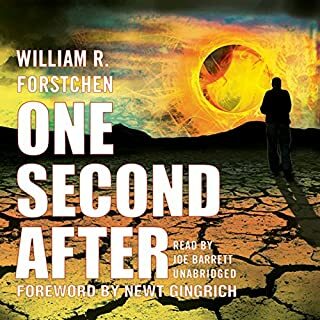 A post-apocalyptic story narrated by Kevin Pierce and an intro by the author explains the books that he read that made him want to get prepared (and write a novel). I mean, how could I not love this? Well, I did. It was totally different than most of the post-apocalyptic books that I’ve read but had a lot in common too. 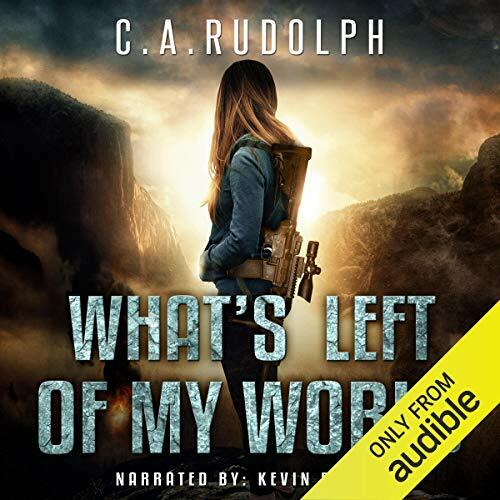 What’s Left of My World follows Lauren after the world has already started to fall apart. We aren’t told what happened and we’re only left with small pieces of what is going on outside of their camp, but you can tell that things have gone bad quickly and everyone that has made it out alive so far is stronger because of it. The story follows Lauren (for the most part) as she is navigating the world without her dad and the world that is unforgiving. She is an incredibly likable main character and not your typical post-apocalyptic hero or heroine. She’s young and should be making mistakes left and right. But, her dad made sure that she was prepared for almost anything and that she was the strongest person she could be emotionally (“turn it into something else”). 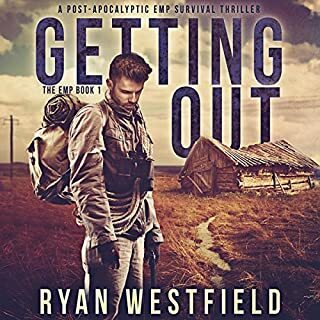 This story was much more focused on the family and how they were surviving than the actual apocalypse or even the people who were out to get them. Sure, there were some fast-paced attacks and issues near the middle and end, but the story is a little slower than my average PA book. I’m not complaining. I know that Rudolph is setting up the world and main characters so that I understand what will happen next. 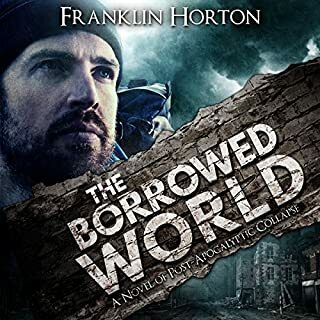 I think that overall, I enjoyed What’s Left of My World as a change of pace post-apocalyptic book. Lauren is easily one of my favorite main characters in a PA book in quite some time, and her story is one that I definitely want to follow. If you liked stories like The Hunger Games or Divergent for the strong female lead, then you should check out What’s Left of My World. Lauren will make you wish you were her (even though her situation really stinks). This was a good(ish) story with some well developed characters in some intriguing situations. I got this title mainly because of the narrator who has told me some of my favorite stories ever. And he never fails to deliver an outstanding performance. I was somewhat put off by the language of the main character and the gruesome details of certain villainous men's depravity, but these may not bother some people who expect no less from this genre. It was an interesting listen. Kevin Pierce delivers again! Pastor Bill Haile Sr. Author. A compelling story of a very possible future for us. may we be found prepared and ready for the future. well performed and narrated. I very much enjoyed listening. This is one of the best apocalypse type books I've read in a long time. The action was great and the characters were easy to understand. There were unexpected twists and turns that kept me on the edge of my seat. Based on the epilogue the second book could be better than the first!! Couldn't finish book cause of the constant political innuendos. Not necessary, and ruined the overall story for me. I've enjoy several survivalist stories about how to survive off the grid when devastation strikes. But over the top conspiracies stories are not for me! This was a bit of a no-brainer when I saw it in ABB, so I asked to review. Kevin Pierce does a great job with the PA type/end of world stories, and this was no different. Excellent performance, and great characters voices. Because the storyline is so intense, it covers so many hard to imagine situations, that a young family and woman (Lauren whom I adored btw) might find herself in, this was tactfully done, though hard to listen to. We can only hope and pray that this never happens in our world. 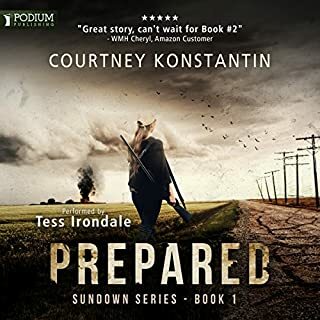 Because these books, the preppers and the people that are ready will truly be the only ones who survive, and the rest of us, just don't have a chance. It makes you want to be a prepper, to be ready, but the what if's are endless aren't they. I know there's some set up for more books, so maybe this isn't the end of this series. I'd defo like to see and watch as these people survive and learn more about them. Thank you for the listen and I really hope there's more. Would you listen to What's Left of My World again? Why? Yes I absolutely would! 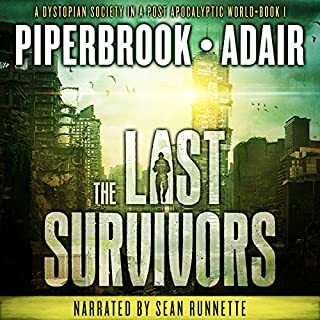 and hopefully The next book as I really want to hear more about Lauren,her,friends/family and this fabulously constructed Post-Apocalyptic world that they live in. I really liked the layout of the story .I thought it was very cleverly crafted with the flash backs and then the full tale in the epilogue .It was sort of like an end of the world movie in your mind.And Lauren ah God that girl, such an amazing character. Also C. A. Rudolph doesn't seem to follow in anyone else's footsteps. I read/listen to so much, that to me, that is a tremendous advantage and wonderfully refreshing for this genre.I honestly had a day after reading this where I wanted to go build and stock a bunker,I wish I was joking but it is that intense and the situation these people find them selves in is not one I would fair well in..Brave people will walk this path . 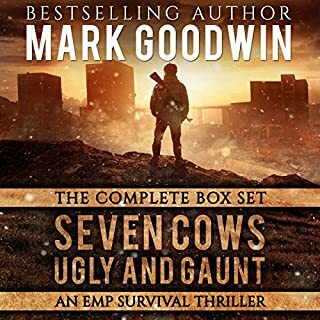 If you Like books in an end of the world scenario Then I'm confident in saying you will like this book. Have you listened to any of Kevin Pierce’s other performances? How does this one compare? Kevin Pierce kept me gripped and invested.I haven't listened to any of his previous work but now I think I will seek it out. He was the perfect choice for this book I believe. I did,I didn't realize it but I did.Its gripping and we become so emotionally invested in Lauren and her troop of survivors its all but impossible to stop listening. I was voluntarily provided this review copy audiobook at no charge by the author, publisher and/or narrator. As always This review is my honest opinion. What did you like most about What's Left of My World? A slightly different take on the EOTW type. (No zombies). On the whole I enjoyed it. A fairly large and interesting range of people. Unlike some of this type, not over loaded with gun descriptions. My main gripe is that the book starts about a year after the collapse. So you have a lot of flashbacks. And there is no indication as to what the collapse is, untill much later in the book. The epiloge is just the collapse with nothing else. But on the whole I did enjoy it. And will get the next in the series. 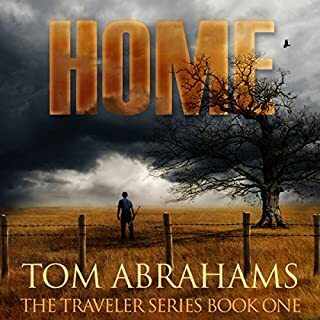 This audiobook was provided through AudioBook Boom free of charge, and without obligation.